Very quick update/post. We had a wondefully boring trip across the Mona Passage Mon-Tues. We're now at anchor in Boqueron, Puerto Rico. We've had a few days to relax and celebrate with our friends from the DR. We are planning to leave Boqueron tomorrow and make our way across the south coast of Puerto Rico. 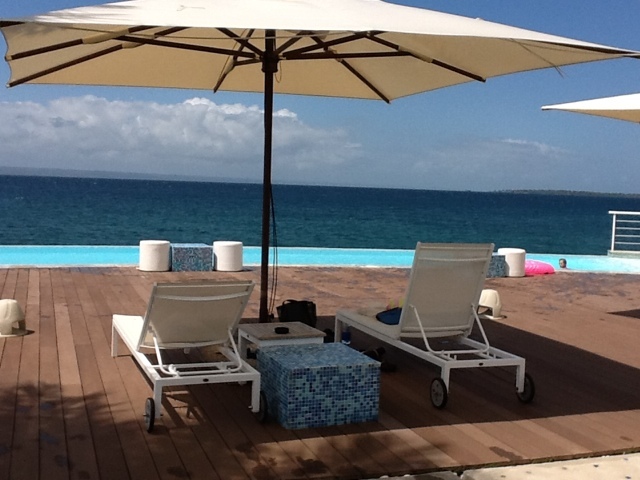 There's a palpable sense of relaxation now that we are past the north coast of the Dominican Republic. We are still traveling "upwind," as it were, but the topography of PR makes it easier to make short hops. A Free Five Star Week, Oh My! We arrived in Samana D.R. just over a week ago after about 24 hours underway from Luperon. Because we had heard about problems checking in with the authorities in Samana, we decided to check in at the local marina, Puerto Bahia Marina, which happens to be part of a 5 star resort. 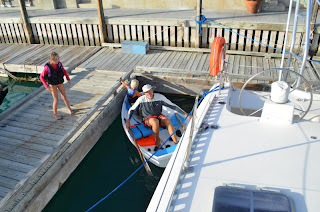 We were happily surprised to find that the marina is very reasonably priced so we decided to splurge and spend one night here. Infinity pools, spa, the whole bit. But then it just got better. We soon learned that If we agreed to participate in their first spring regatta, we could have a week of free dockage. Several hours of fevered discussion among the cheap cruisers ensued about WHICH was the free week and whether we could truly stay here for one week for free, but it all worked out perfectly. So we hung out here for the week, including a couple of days at Los Haitises national park. Had a wonderful time with the 7-8 other cruisers who traveled here from Luperon. Got 3d place in the catamaran category in the regatta and won a bottle of Veuve Clicquot. And to top it all off, we went to an amazing post-regatta soiree out on the point overlooking the Bay with the Dominican high society. Attire: blanco casual. It was truly FABULOUS. 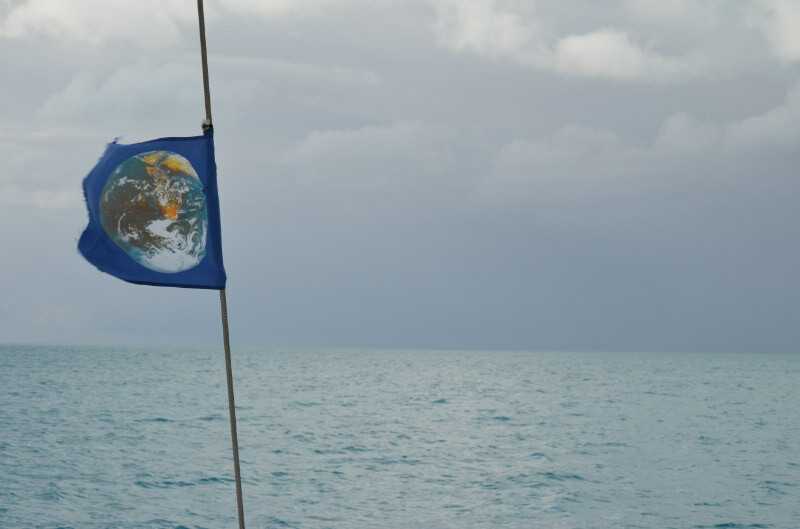 But alas, the weather window is upon us, so we are checking out with the cammandante and immigration this morning and heading across the (sometimes dreaded) Mona Passage later tonight. But the forecast is for flat calm. We expect to arrive in Boqueron Puerto Rico after about 24 hours. Hasta luego, the crew of Blue Kai. Blue Kai has been on the move - currently in the DR! It's been a while since we've posted, partly due to a continuing lack of internet and partly due to the fact that we've been moving south fairly quickly. Not to deny you the dramatic build up of our moves south and east on the high seas, but currently we're in Luperon, Dominican Republic. Being here is significant for us because this is the farthest south port we traveled on Freelancer on our honeymoon. We had hoped to travel farther south that trip, but for many reasons, including the weather, we couldn't. So we are fairly excited to write a new chapter, so to speak, in our experience as cruising sailors. 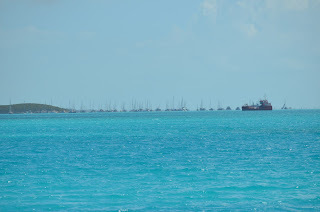 South of Lee Stocking Island we headed to Elizabeth Harbor/Georgetown, Great Exuma Island. Georgetown is truly a mecca for cruisers and there are literally hundreds of vessels there in the winter. Unexpectedly we arrived during the Cruisers Regatta (we thought it would be over before we got there), which is a 2 week party/festival held by cruisers. We were initially excited to arrive during Regatta, since we’d had such a good time in Georgetown during our honeymoon. But this time we had a difficult time feeling connected to the community. 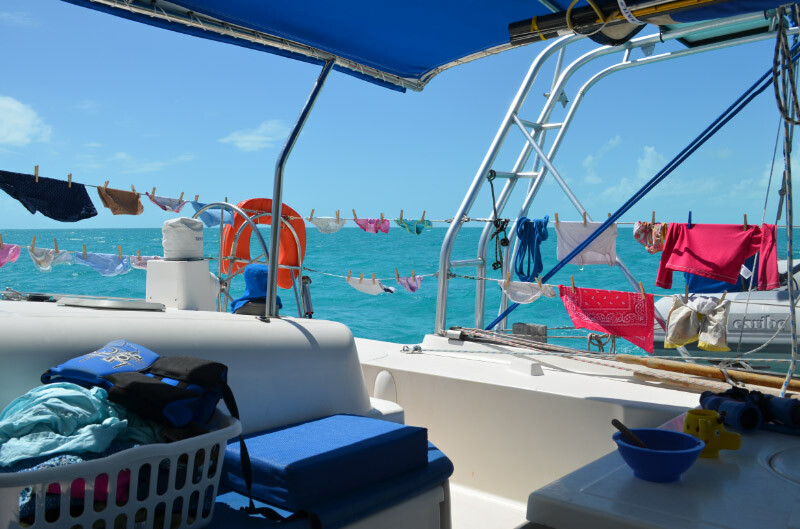 There were a number of boats in Georgetown that we’d met further north, so we expected to just jump right in with all the fun, but it felt like everyone had already “coupled off” by the time we got there. We were also facing a weather forecast that was described as the “most significant weather event of the winter,” with winds forecast to blow steadily at 30-35 with gusts to 40 for more than a week. At first we thought we’d have to wait the storm out at Georgetown (and we were groaning about that), but then, just 3 days ahead of the storm, we were listening to the weather forecast one morning and decided that we had a reasonable window to move south before the storm arrived. So we literally finished breakfast and got the boat ready to leave, heading to the out islands of the Bahamas. 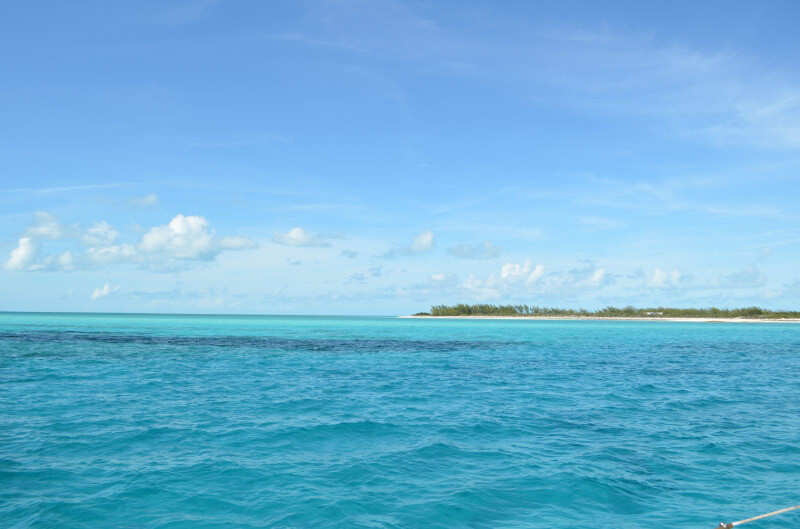 The islands of the Bahamas south of Georgetown are referred to as the “out islands” because it’s quite remote compared to the rest of the Bahamas. The settlements (i.e., towns) are few and far between as are protected anchorages. 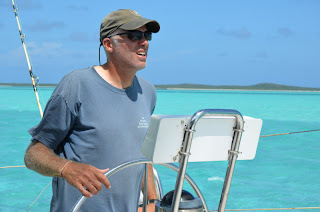 We were a little nervous about heading south to beat a storm, but we were also familiar with the out islands from our honeymoon and from delivery of Blue Kai from Curacao (including a stop in Clarencetown, Long Island on each trip for engine repairs). We also had come to understand that our boat can travel pretty fast – we often travel around or over 8 knots. But there’s a reason people call Georgetown “Chicken Harbor,” so we certainly thought through contingency plans if anything happened to go wrong. We left Conception very early on Sunday, March 4th and headed south. 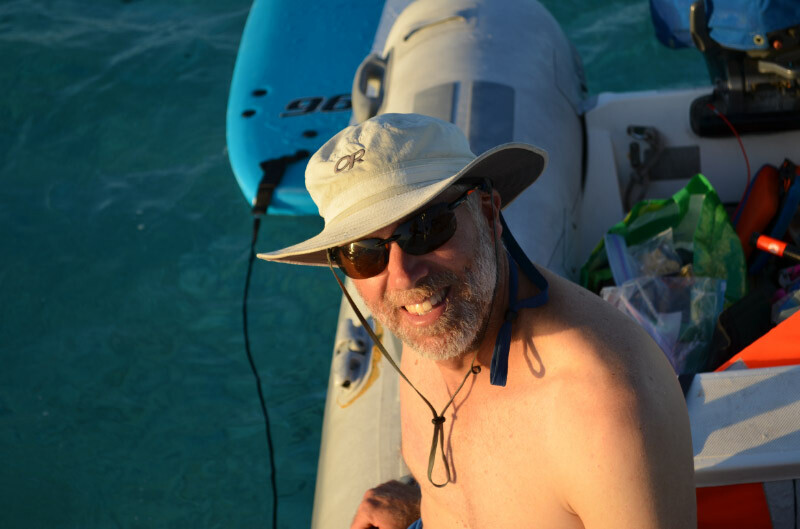 I can’t say we had a smooth trip, and nearly all of it was motor sailing, but we made it safely to Sapodilla Bay in Providenciales (“Provo”), Turks and Caicos Islands nearly 36 hours later on the afternoon of March 5th. 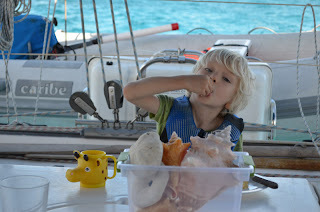 We were thrilled to have travelled from Nassau to the Turks and Caicos Islands (TCI) in 8 days. 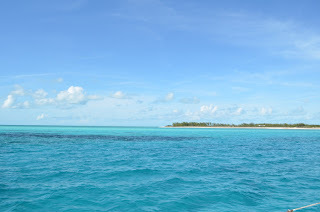 To put it in perspective, on our honeymoon we spent 7 full days in Mayaguana Bahamas (the farthest southeast island) waiting to cross to the TCI. Once we got to Provo, we decided to spend a couple of days at a marina so that we wouldn’t be entirely boat bound when the storm that was forecast to hit Georgetown got to Provo. 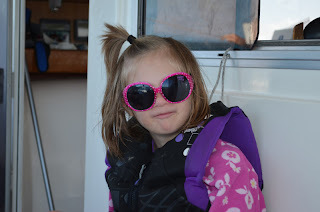 We got a slip at South Side Marina (the ride over was quite exciting as the winds had already started to pick up), and had one of the most unexpectedly delights on our trip so far. We were in Provo for a full month 9 years ago, and we would not have described it as cruiser friendly. There weren’t many services for cruisers and the island is really spread out, so if you don’t have a car it’s hard to explore or get much done (like grocery shopping). But now, at South Side Marina, we found a wonderful, cruiser friendly marina. Charlyn, our friendly host, offered rides to the grocery nearly every day and ran a cruisers’ net every morning. There was a happy hour every evening at 5 and a cruisers’ barbeque Thursday night. 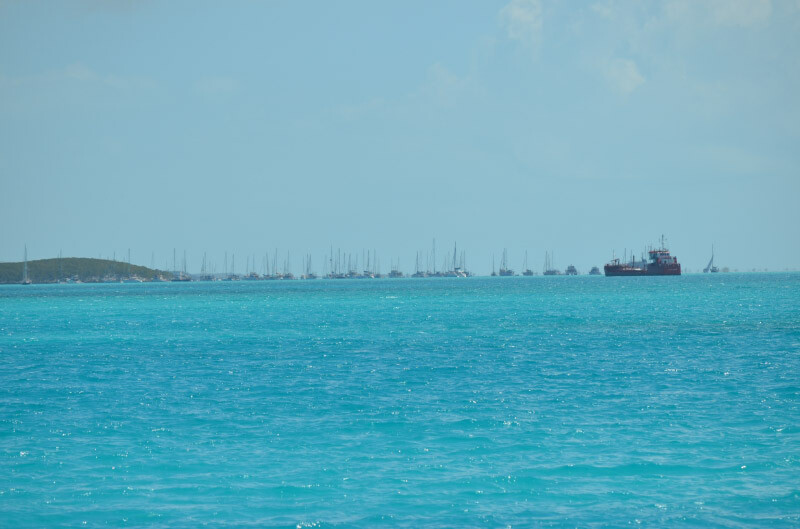 The marina drives their truck to the Sapodilla Bay anchorage to bring those cruisers to the barbecue. Plus, we got to ride the storm out at the dock. 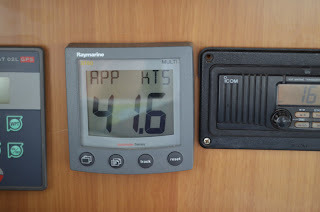 We checked the wind speed indicator at one point in the marina, and even though we were protected behind a hill, the wind at the top of our mast was in excess of 41 knots! We met many wonderful cruisers at the marina, including a couple from Seattle and a family that hails from both Alberta and B.C. Canada. The family had two young kids and the parents do the typical northwest outdoor stuff, including climbing and mountain biking. (For our climber friends, they actually live in Canmore just a few houses down from Will Gadd and Kim C., so we enjoyed lots of climber talk about ice routes in Alberta for several days!) To top it off, our kids were thrilled to be there because they had a perfect slab of concrete for riding scooters, including a steep driveway that Rye enjoyed thoroughly. 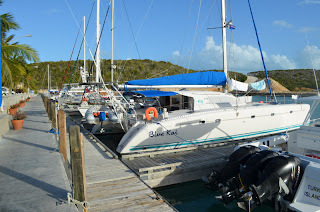 But because our budget doesn’t allow for much time in marinas, and because yet another weather window opened up to move east, with some sadness we left South Side marina after 3 nights and headed east over the Caicos Banks toward the Turks Islands. We were hoping to visit Grand Turk, but when we arrived at South Caicos later that afternoon, we poked our nose into the Turks Passage (a much deeper passage between the Caicos islands and the Turks Islands) to test that the headings to Big Sand Cay (a staging island for Luperon, Dominican Republic) as well as the heading from Big Sand Cay to Luperon. The wind was from the ENE, and based on what we saw at South Caicos, it looked like we would be able to sail (yes, SAIL) from TCI to Luperon. We were torn because we wanted to visit something other than Provo, but it’s very rare to get a weather window to sail (rather than motor) to the DR. We felt like we just couldn’t let that opportunity pass, so we headed south and east. 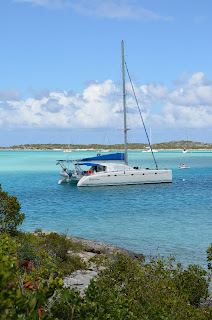 We got to Big Sand Cay and, using conservative calculations on how long it would take us to get to the DR (you MUST get in as close as possible to dawn to avoid building trade winds), we didn’t feel like we had enough time to drop the sails and rest at Big Sand. So I quickly made grilled cheese while we were in the lee of Big Sand and we headed on to Luperon. The thing about sailing is that if you have wind to push your sails, you also have seas. 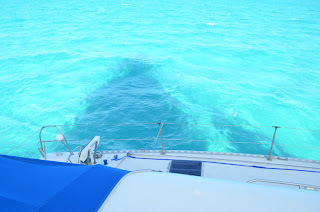 So, while we were really happy to be sailing to the DR, we were traveling in moderately large seas. Probably 6-8 feet, and at times with additional wind driven chop on top. So this was not exactly a smooth ride, but boy was it fast. We were moving at 8+ knots most of the night. When we realized we would get in to Luperon too early, we put a reef in, but our speed stayed at 8 or above. 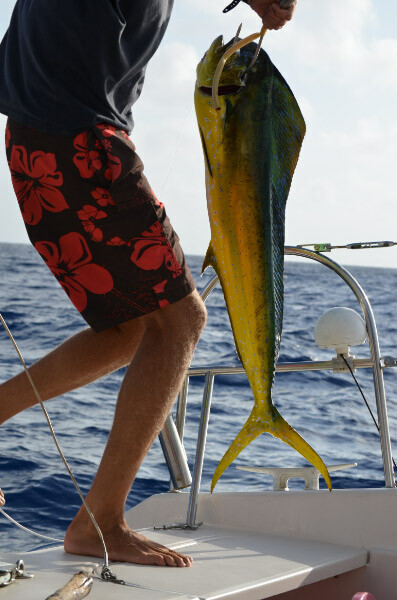 So we pulled in the head sail, but we only dropped down to the high 7’s. The problem with that is you can’t enter Luperon harbor in the dark, so once we got to the coast of the DR, we literally had to tack and motor back and forth for about 2 hours outside the entrance to the harbor waiting for daylight. 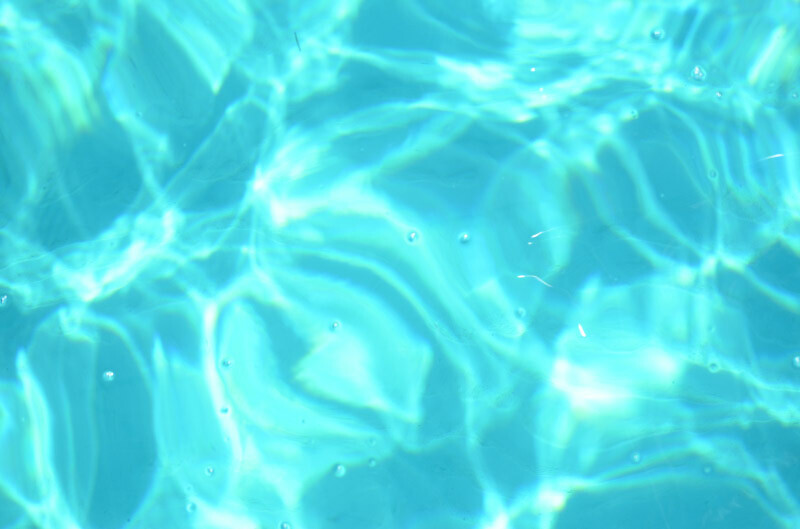 (Wished we’d known that back at Big Sand Cay.). That delay was a little brutal after a rough overnight passage, and then to top it off, I (Susan) got confused entering the harbor and directed Danny right into a mud shoal in the entrance. Classic tired, poor thinking. I still feel sick thinking about how desperate it felt running aground in the entrance to the harbor at 6:00 a.m. Thankfully Danny was able to put our big engines to good use and motor us back into the channel. And soon we had the anchor down in lovely Luperon harbor, following by a visit from the Commandante later in the morning to clear us in. We’ve only been here since Sunday, March 11th, but it looks like we will be leaving tomorrow (assuming we can get a quick adjustment to our outboard completed today). There are many boats who have been here a full month waiting for a weather window to leave, so we’re feeling pretty fortunate with our weather windows. The downside, though, is that we really loved the DR when we were here last and would honestly rather spend more time here if we knew when the next weather window would arrive. But our next port is likely to be in the DR, Samana, so we may yet get a chance for exploration of the DR. We’d love to get to Santo Domingo while we are here. There are some tricks to traversing the north coast of the DR, which I won’t go into here, but it looks like we've got a big weather window that will allow us to leave tomorrow morning and possibly go straight to Samana (about 140 NM east). 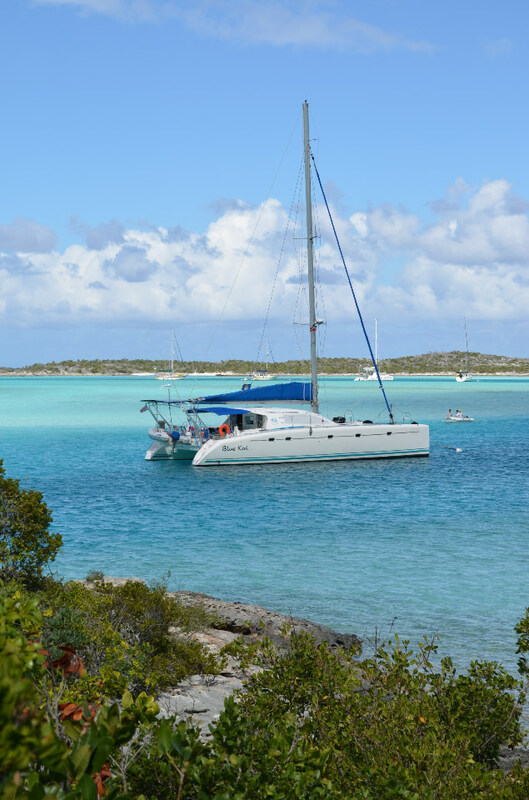 There's a beautiful marina there with dockage at $1/foot (at least for monohulls) and a very beautiful national park, so we're looking forward to exploring that area. 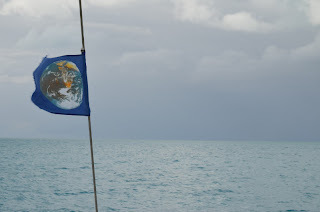 If all goes well, we will then have window to cross the Mona Passage to Puerto Rico a week later. There is a bit of relief getting to the DR because, for the most part, we have left behind the places where food and supplies are very expensive and/or unavailable. I look forward to letting go of the hoarding instinct I’ve developed around groceries and supplies. And apparently there are even Costcos in Puerto Rico --- I can hardly imagine! Hopefully the internet will also be easier to find and we will be able to write and post more. And, finally, a few pictures of what we’ve been doing over the past weeks. Hope you enjoy.